The state of Alabama, or simply Alabama is a state of the United States of America, located in the southern region of the country, whose capital is the city of Montgomery. Bordered on the north by Tennessee, east by Georgia, south to the Gulf of Mexico and Florida, and west to the state of Mississippi. 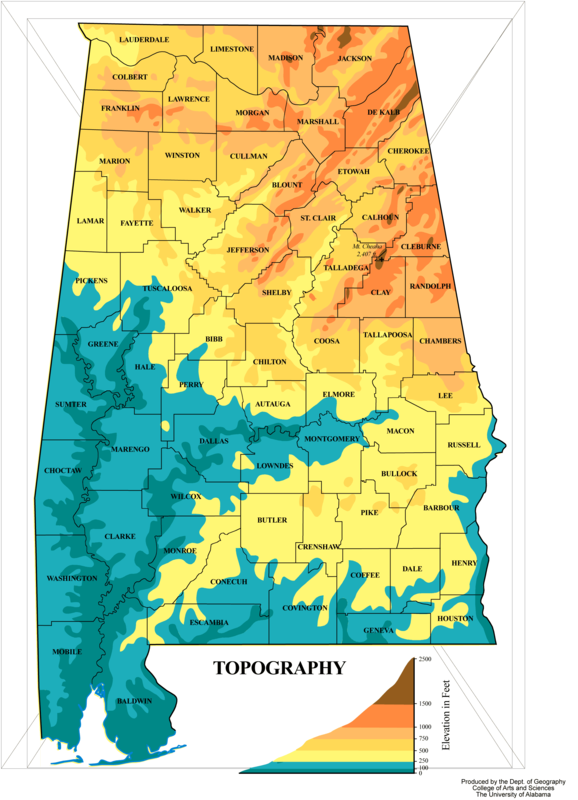 In relation to other states, Alabama ranks 30 th in land area and second in the size of its inland waterways. It is also in 23 th in population, reaching nearly 4.6 million inhabitants in 2006. Get the name of the Alabama River (meaning 'thicket cleaner' in the language of the Indians Choctaw ), which runs the state to lead near Mobile. The state's largest city is Birmingham .